Launched in 2013, The Dining Lab is a critically acclaimed contemporary American fine dining restaurant run entirely by students from the Culinary Institute of New York (CINY). Deemed a “training ground for students” by The Wall Street Journal, “the little kitchen that could” by The New York Times and “Westchester’s Best Kept Secret” by Westchester Magazine, the restaurant provides students valuable real world experience in à la carte food production and refined service, all while earning credit toward graduation. 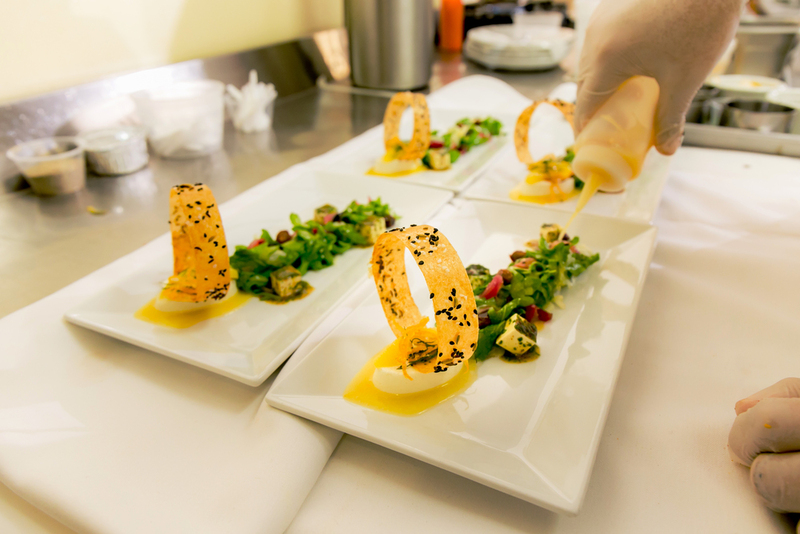 Students develop the professional, sophisticated skills needed to create a memorable dining experience for guests. The Dining Lab at Monroe College is a Contemporary American fine dining restaurant run entirely by students from The School of Hospitality Management and the Culinary Arts at Monroe. The restaurant is designed to provide students with valuable real world experience in a la carte food production and fine dining service. At the Dining Lab, students work to develop their skills while learning what it takes to serve the public and create an unforgettable fine dining experience. As a patron, you are a valuable member of the learning process. In addition to enjoying an evening of fine dining, you will play an important role in helping to cultivate the future culinarians and hospitality leaders of the future. We thank you for your patronage.